Lynn Fulton, president of OSF Healthcare St. Joseph Medical Center, at a news conference Tuesday, April 3, 2018, announcing the joint project with YMCA and Easterseals. The Bloomington-Normal YMCA building just south of downtown Bloomington. 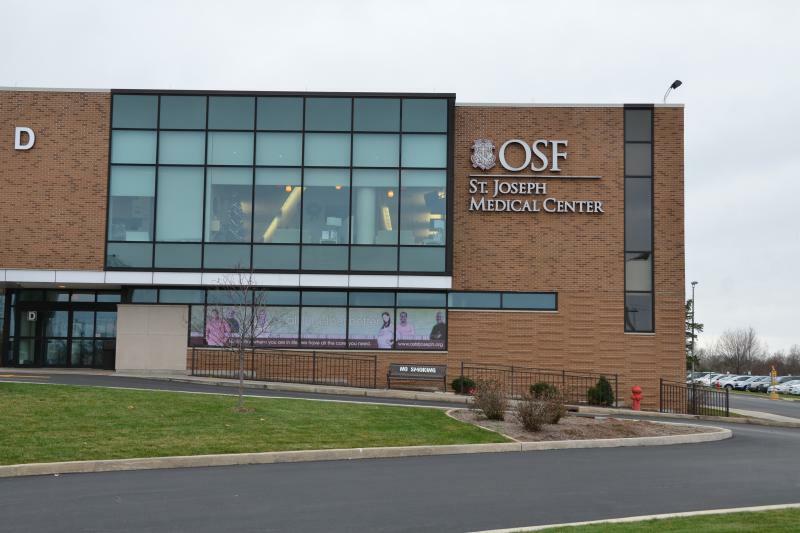 The YMCA and Easterseals would share space in the new building on the OSF St. Joseph Medical Center campus off Washington Street just west of Veterans Parkway. The project would cost between $16-19 million with a targeted opening in spring 2021, said YMCA CEO and Executive Director B.J. Wilken. The layout of a new building project off Washington Street that will house the Bloomington-Normal YMCA and Easterseals. The Y has been seeking a new, larger space for years. The Y’s programs are growing 10-12 percent each year, Wilken said, and its current landlocked building just south of downtown is too small. The Y previously tried to build a new home on the far east side off Ireland Grove Road, but those plans were scrapped in 2008 after fundraising fell short. Wilken said this new proposed location—still closer to the east side though not as far away from the city’s central core—is a “compromise” of sorts. “We feel very confident that our people will come to this new facility,” Wilken said. Bloomington Alderman Jamie Mathy's Ward 1 includes the current Y building. He said the Y addressed his concerns about the new location with evidence that most patrons don't walk to the building. Mathy said he also recognizes that Veterans Parkway is increasingly seen as the physical center of Bloomington, even though downtown remains its "spiritual, cultural" center. "I would've loved to see them by find someplace in Ward 1 or the west side of town, but the (YMCA) board has ton of analysis. They were able to answer every question I asked. I work with enough nonprofits to know that if the board has done their due diligence and research and they feel like this is the best thing to do to keep the Y functional for a new generation of people, it's hard for me to (second guess) what the board has come up with." Mathy, who attended Tuesday's news conference, said he knows the current Y building is in bad shape physically. "I'm hoping people take it OK, but it's definitely a loss for an older part of town," Mathy said. The Y will work with the City of Bloomington to find a future use for its current building once the organization moves out, Wilken said. 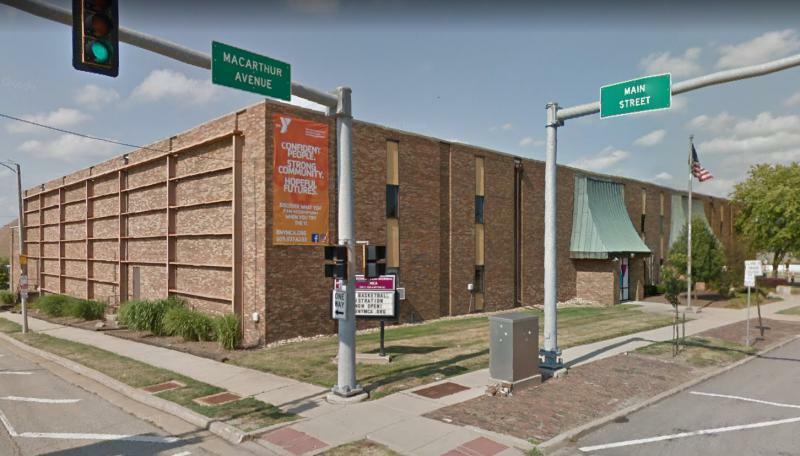 Alderman Karen Schmidt, whose Ward 6 is adjacent to the Y, said residents will be eager to see what the city and the Y come up with for the building. 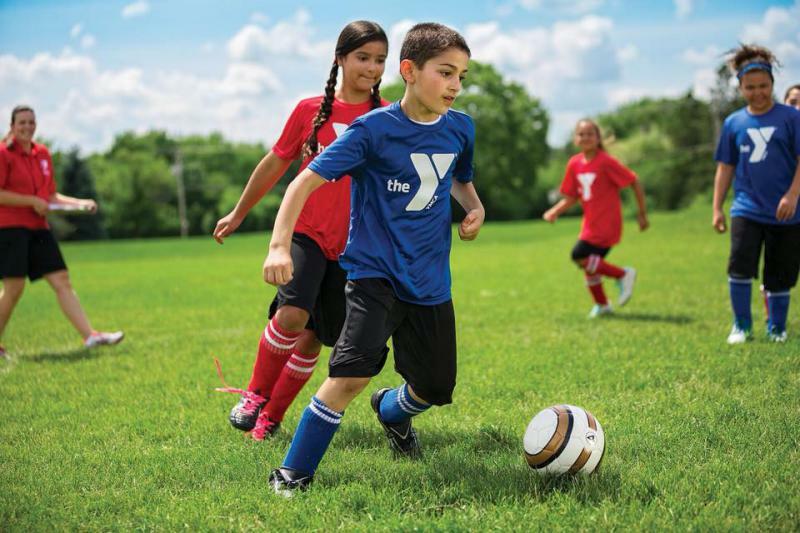 “The downtown and west-siders certainly appreciate having the Y where it is. But I don’t think that that means they’re not going to move along with that building if they can,” Schmidt added. 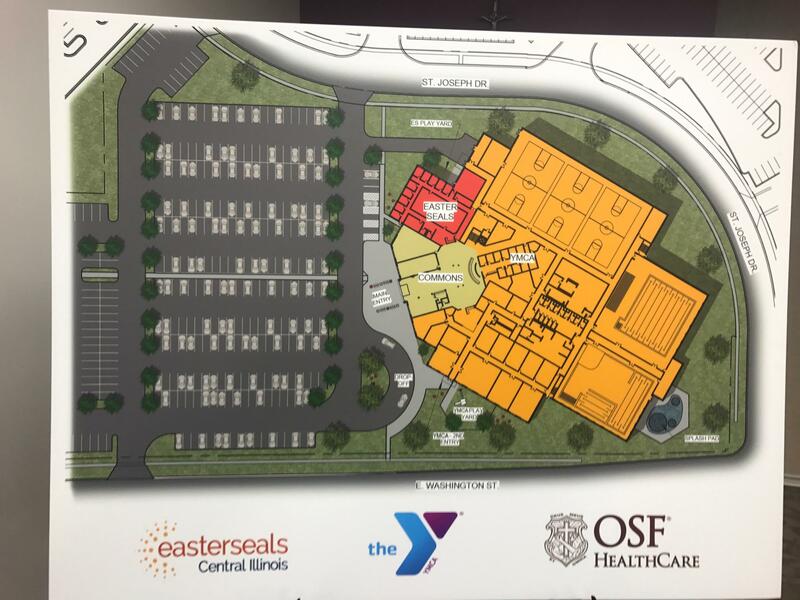 The new space will allow the Y to expand its aquatic programs with two state-of-the-art pools, including a warm-water pool that will also be used by Easterseals for therapy. Those shared spaces are a major selling point for Easterseals, said President and CEO Steve Thompson. The new aquatic center will allow the Y to host swim meets, Wilken said. 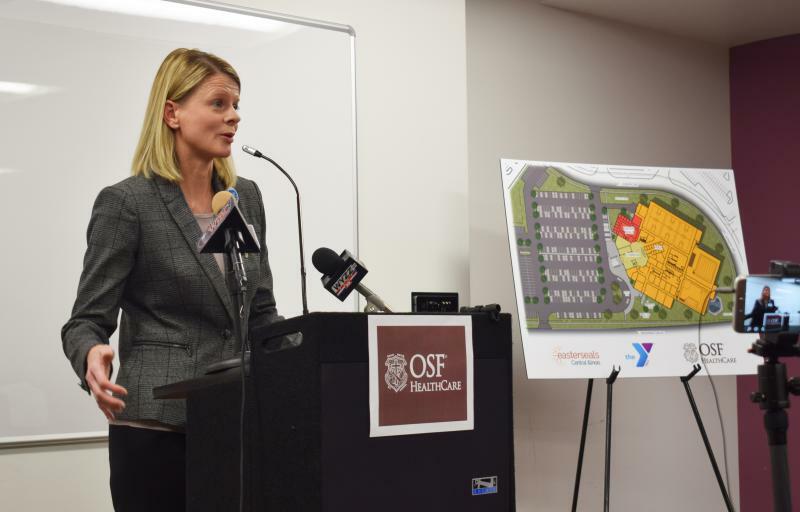 OSF donated $3 million of land for the project, the largest donation ever received by the YMCA. Construction will begin after the YMCA raises enough money for the project. “I wish I could provide a specific date when we hope to start construction," Wilken said in a statement. 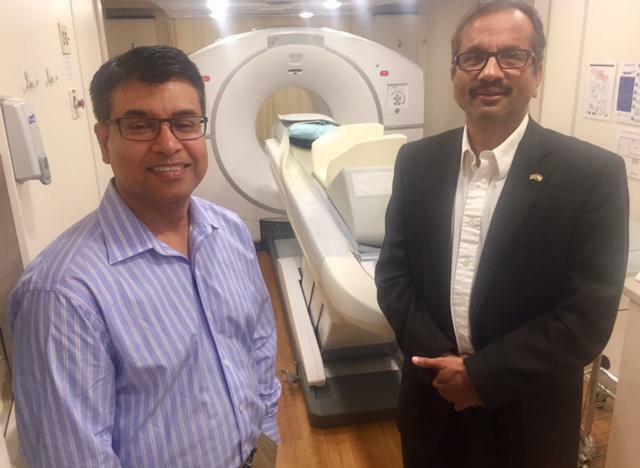 "If our initial conversations are any indication, we are really excited by the level of vocal support especially for a partnership between the Y, Easterseals and OSF Healthcare."